The William Blake Archive is pleased to announce the publication of an electronic edition of The Book of Thel Copy N and Enoch Walked with God, both in the Cincinnati Art Museum. We have also republished Songs of Innocence Copy U with a more authoritative arrangement of the plates and an enhanced Copy Information page. 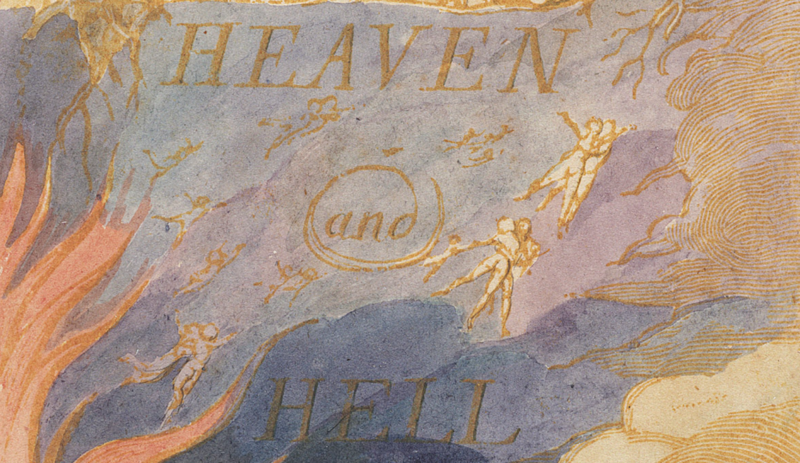 Thel is dated 1789 by Blake on the title page, but the first plate (Thel’s Motto) and the last (her descent into the netherworld) appear to have been completed and first printed in 1790, while Blake was working on The Marriage of Heaven and Hell. Copy N, never before reproduced, was printed and colored c. 1818 along with Copy O. It is one of sixteen extant copies, ten of which are in the Blake Archive—including Copy O—and four of which are in preparation for future publication. Like Copy O, Copy N was printed in orange ink on Ruse & Turners paper, watermarked 1815, beautifully colored, numbered by Blake in pen and ink, and bound with Thel’s Motto as the last instead of the first of the book’s eight plates. Unlike Copy O, its plates have a single orange line framing them. Blake included the book in his advertisement “To the Public” of October 1793: “The Book of Thel, a Poem in Illuminated Printing. 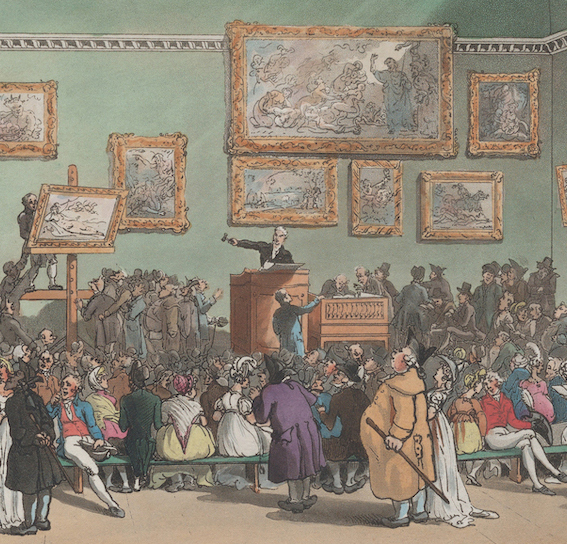 Quarto, with 6 designs, price 3s.” He listed it again in 1818, in a letter to Dawson Turner, in which he priced it for £2.2.0., the price for which Copy N almost certainly sold. This letter is also in preparation for future publication. 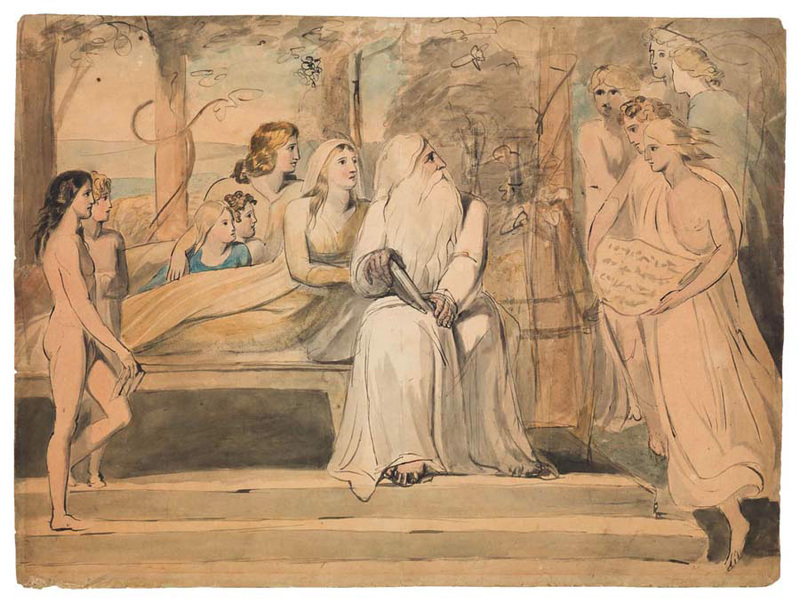 Enoch Walked with God, at 17.5 x 24 inches, is one of Blake’s largest early designs. It was executed c. 1780-85 in water colors and pen and ink over pencil and charcoal. It joins sixty-four other water color drawings in the Archive illustrating the Bible. This is the first time that works from the Cincinnati Art Museum have been represented in the Archive. Accordingly, we are also publishing the museum’s Blake collection list, which includes all of its original works by Blake, not just those published in the Archive, and joins the Collection Lists of over thirty other contributing institutions. Additionally, with this publication, the Archive has implemented a new feature on its main viewing page to enable users to rotate the image, a particularly salient feature for Blake’s texts written upside down or vertically. The Archive has also updated its General and Specific Bibliographies, which now incorporate links to many Google Books.